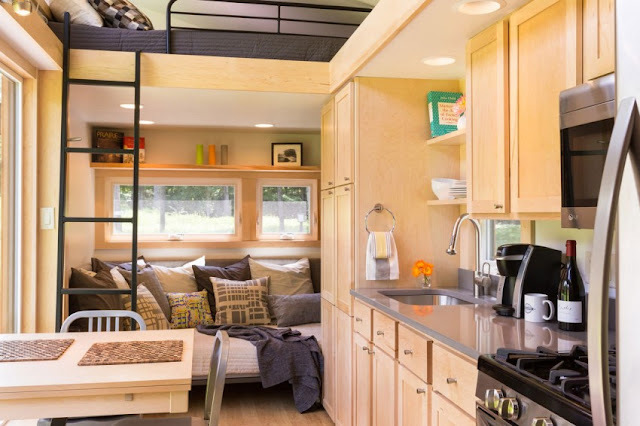 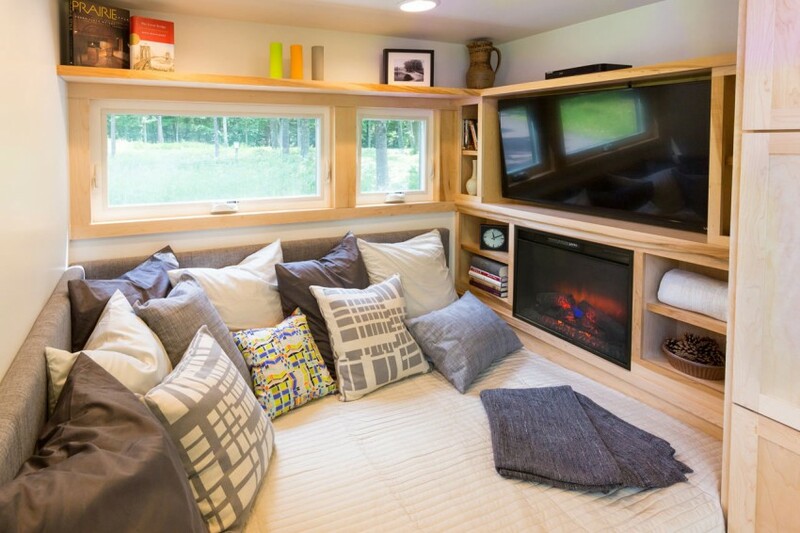 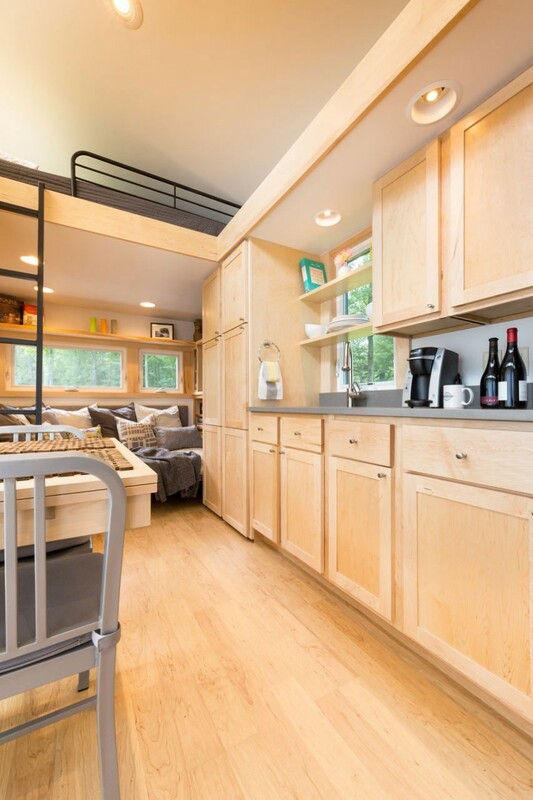 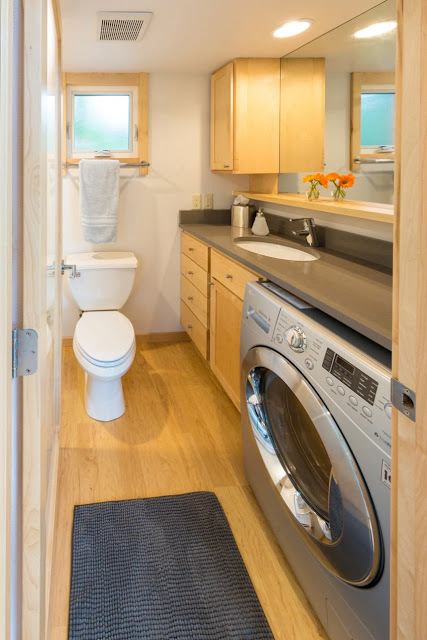 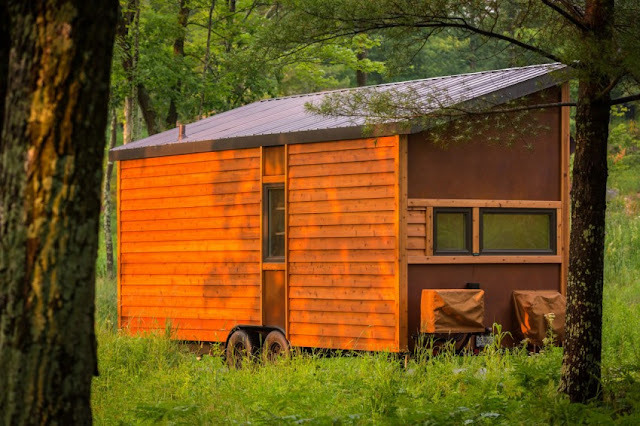 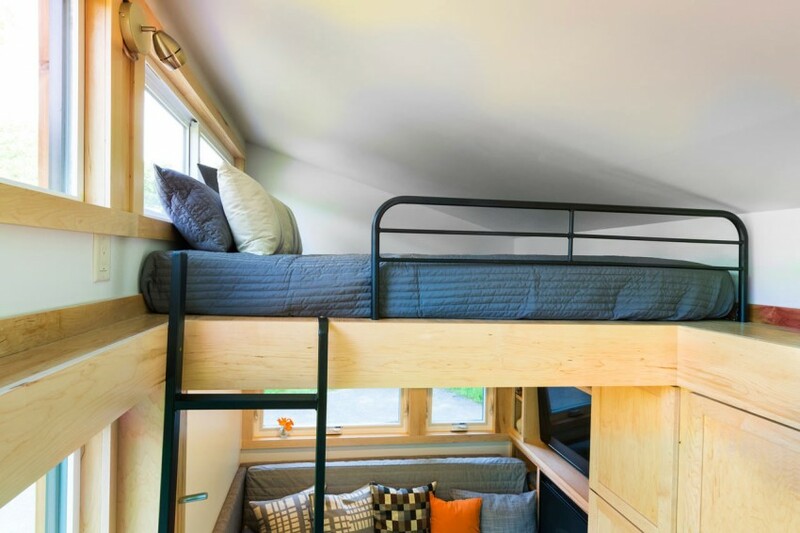 The Escape Traveler is a cozy 269-square-feet tiny house from ESCAPE Homes. 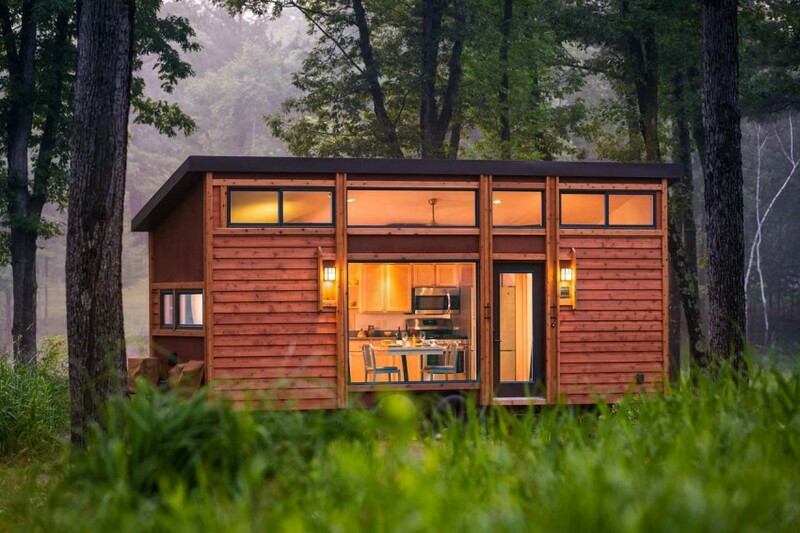 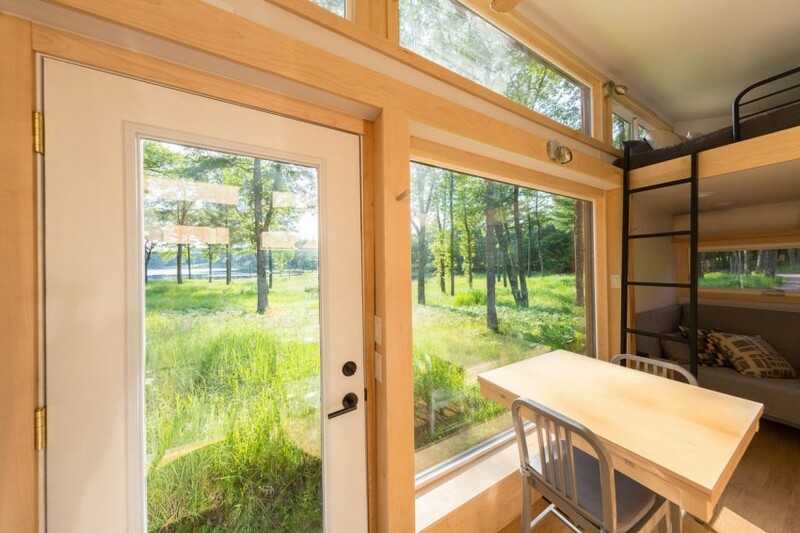 The cabin-style home measures 25 feet long and 8.5 feet in width. 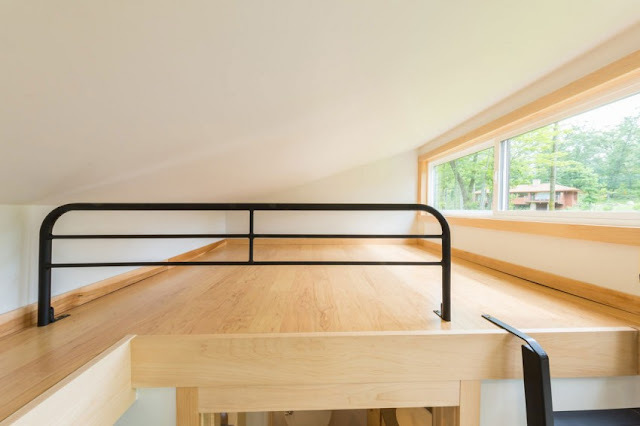 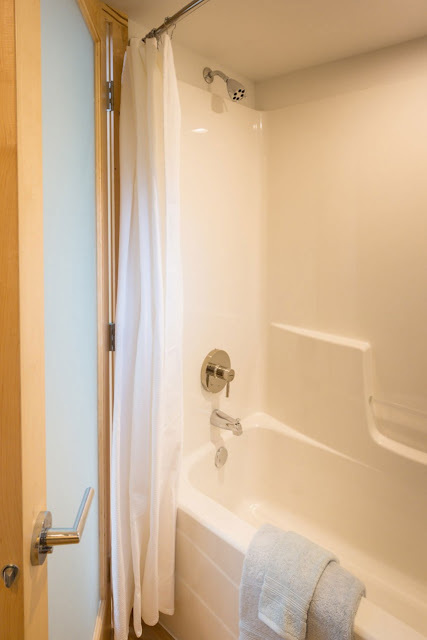 Its total square footage is 269: 180 on the main floor, plus an additional 89-square-feet of space in the loft. 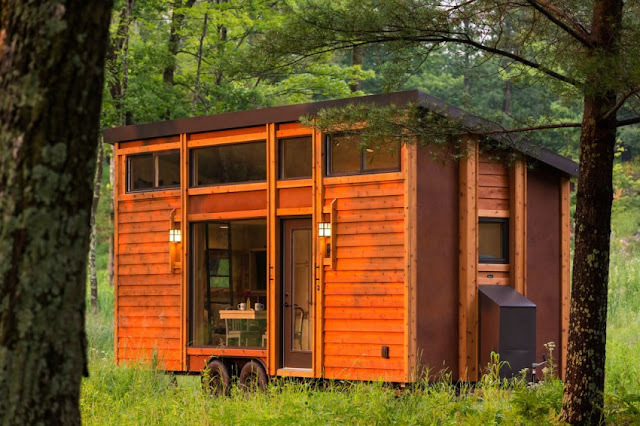 The exterior is made of cedar lap siding with steel accents. Its interior is pine walls and oak laminate flooring, although the company has other options available. 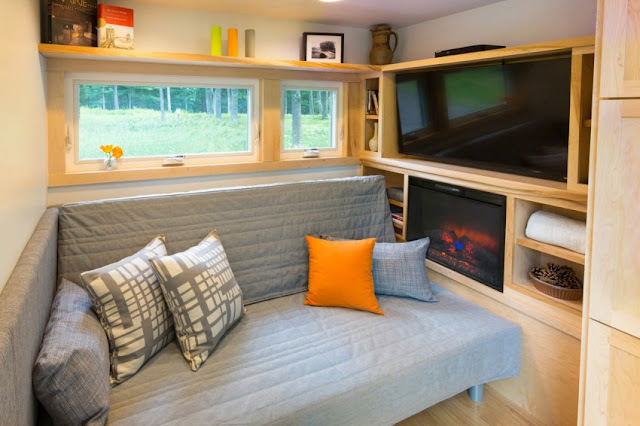 For heating, the home comes equipped with a fireplace you can control with a thermostat, and an LG Split system A/C with a heat pump or baseboard heat. 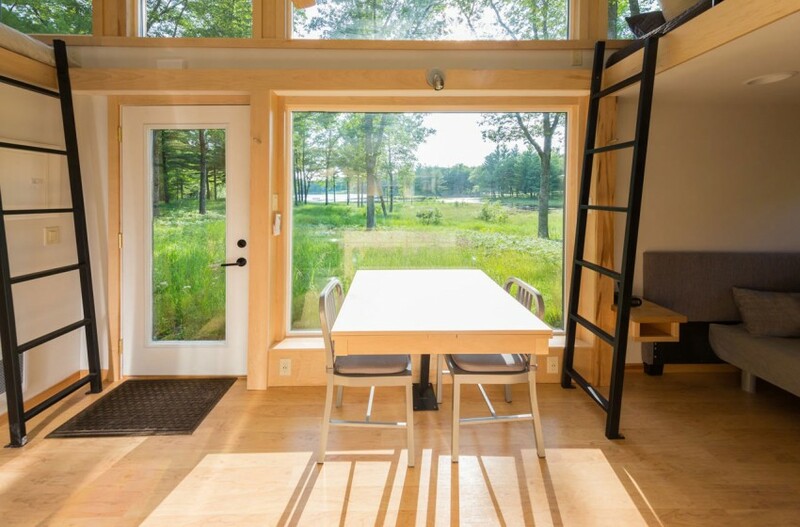 For electricity, the home comes with an option for solar panels to create power sustainably and with a low environmental impact. 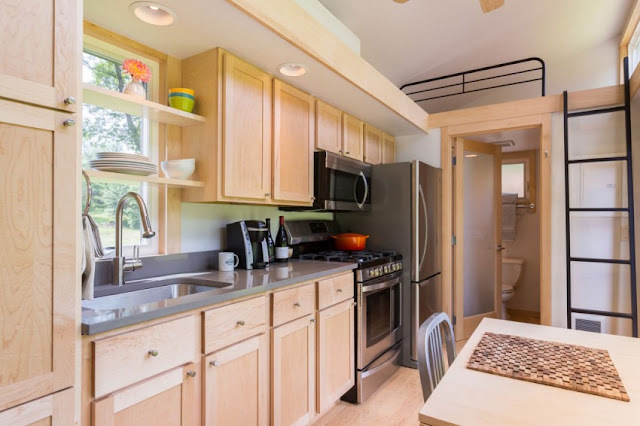 The kitchen comes with a full sized LP range stove, a 30” refrigerator, maple cabinetry, a stainless-steel sink and a kitchen table. 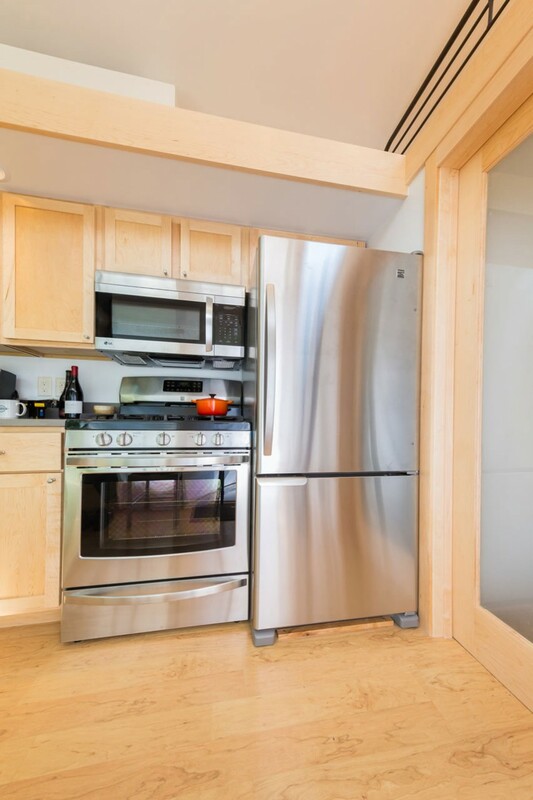 There’s also options available for an electric range, an induction cooktop, and/or an ice maker and stainless steel upgrade for the refrigerator. 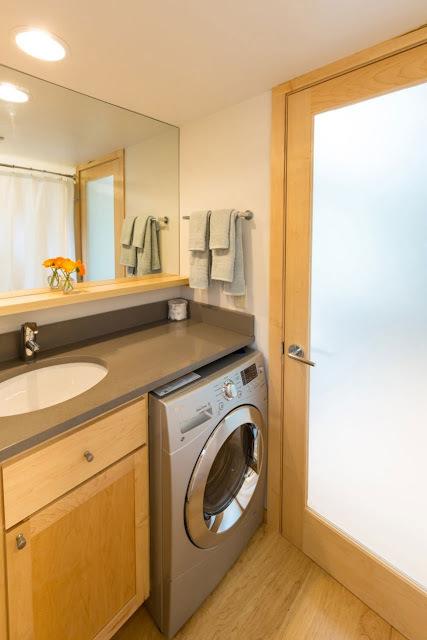 Other features you can have included with the home are a big screen TV with Blu-ray, a washer/dryer combination, ceiling fan, stone countertops, dishwasher, USB outlets and cellular shades. 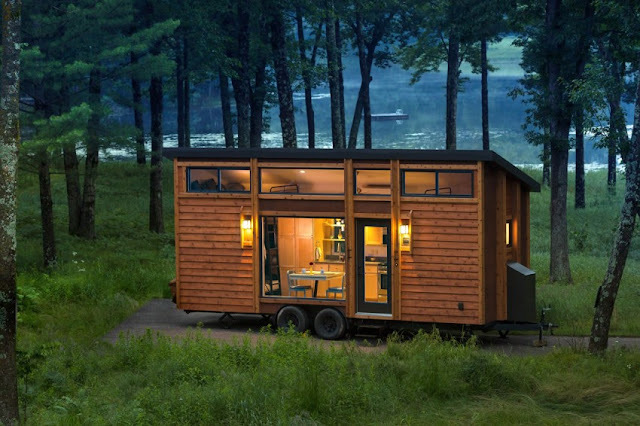 The home is also a RIVA certified trailer, which means it can travel on most roads throughout the US and can be park at any trailer park. Extra bonus: the house comes with a two-year warranty! 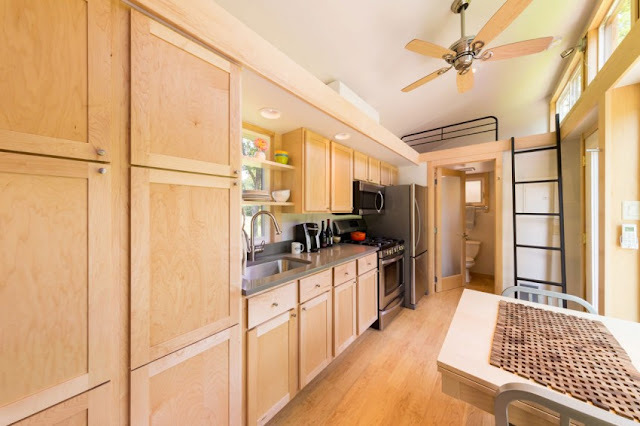 The home's current base price is $66,600.